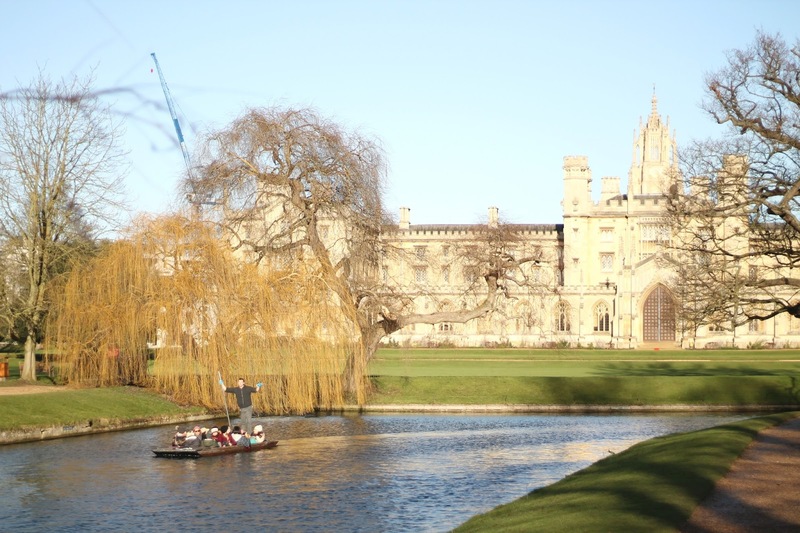 Shooting these outfit photos alongside the River Cam as punts glided along the water and tourists took in the spectacle that is the Cambridge Colleges reminded me just how much I adore this city I call home. Taking these photos resulted in an afternoon of film watching and blanket snuggling after completely underestimating the sub zero temperatures and just how chilly this would feel in fishnet tights. Would not recommend. I'm now back at university for my second term of second year and reminiscing over possibly the best Christmas I've ever had surrounded by family, friends and of course Scott and my cats. What more could a girl ask for? I always find the first few days after moving back North to be the most difficult; despite loving the independent university brings, I still find it so challenging to be away from my loved ones and in a place SO far from them. I'm trying to channel some ~girl boss~ vibes, and one the whole I am feeling super positive about what 2017 has to bring, both in my professional and personal lives so keeping a focus on that is my motivation for tackling this term head on! Speaking of girl boss, this is one outfit that makes me feel just that! I embraced fishnet tights earlier last autumn and have since not looked back. Despite their inappropriateness for January weather (I definitely couldn't feel my legs half way through this shoot), fishnets add another dimension to any look and are perfect if you're already craving bare leg weather and want a change from your normal tight look. I paired a PVC skirt with my fishnet, which is another item I've fallen head over heels for during the past couple of months. It was (surprisingly) the only addition to my wardrobe from the most recent Archive By Alexa collection but I love everything about it; especially the A-line shape and how flattering it is both for day time, or jazzed up with heels in the evening! Other notable mentions HAVE to go to my new star print Cambridge Satchel, which I think we can all agree is the bag of absolute dreams. This was a Christmas present from my v generous mum and I've used it almost every day since opening it and squealing on Christmas morning. It's the perfect size for both day and evening, with enough space to fit my essentials without tempting me to carry around items that I definitely do not need (I'm talking about you polaroid camera, 3 types of lip balm and enamel box of plasters). 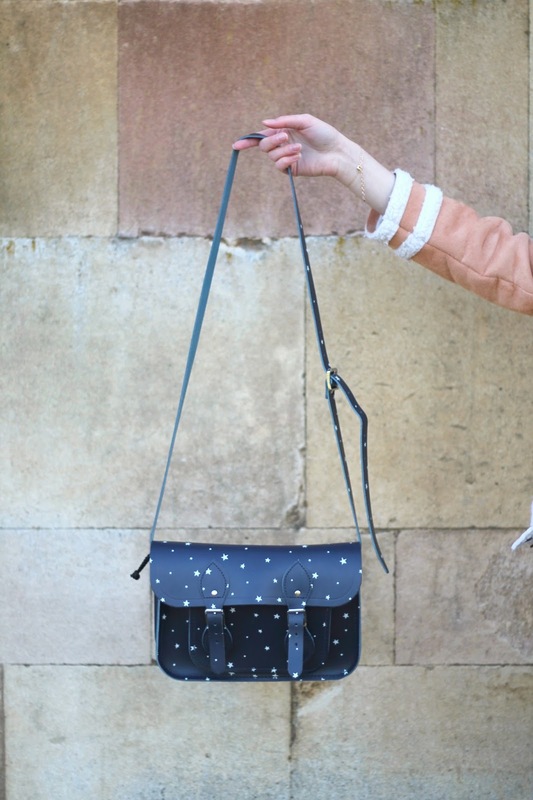 I'm still hanging on to a bit of festivity with the star print and navy colour but I can already tell this bag is going to remain a firm favourite for me for the rest of 2017; albeit slightly on the pricey side, Cambridge Satchels are an investment piece I would buy in a heartbeat because of just how versatile and timeless they are!